What happens at a pet crematorium? 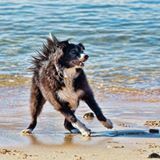 When I had to let my beloved Brady go to the Rainbow Bridge, my vet assured me ‘Don’t worry Scotty, we will make sure that he is well taken care of’, and although I didn’t doubt this as the care we had always received was exemplary, part of me wondered what happened from when Legacy Pet collected him, until I collected his ashes. However, at that stage, there was no way that I could ask – I was just too emotional. I had wondered about the process previously, so what I did was to get in touch with Legacy Pet and ask them if they could let me know the procedure, as I was sure that there would be plenty more people like me who would like to know what happened to our furbabies when a cremation or burial had been organized. The reason I asked Legacy Pet, was for the same reason we invited them to be sponsors of the Wall of Remembrance – they understand that saying goodbye to our beloved pets is one of the deepest heartaches we will ever experience and they really do treat our pets with the respect and dignity that they deserve, and are also understanding of our own pain and how hard an experience this is for us to go through. They are also a registered pet crematorium and have an environmental authorisation for both the Kya Sands and Cato Ridge facilities as well as valid air emissions licences – they do things the right way, have been in business for twenty years and what I like the best is that they actively encourage people to visit their premises to see how they operate. Many of us don’t ask our vets what the options are when we have to let our pets go – it is simply something we don’t want to think about , or even talk about – we trust that our vet will make the correct decision for us, and I for one did not realize that there were so many options available. By being aware of what the options are, the next time we have to let a pet go to the Rainbow Bridge at least we will know what it really is that we want to do. Really, the only thing I don’t like about dogs (and many other pets) is that they don’t live as long as we do, and I am sure I am not alone in my sentiments – unfortunately saying goodbye to a beloved pet is something that many of us do a lot more than once and it never gets easier! Well what does happen from when we leave our pet at the vet after euthanasia? Legacy Pet told me that they call on all the vets at least once a week and sometimes two or three times a week and here they will collect your pet to take it to the crematorium. It is also an option to have your pet collected from your home – all you have to do is phone them for collection. As your pet is under their strict supervision and their number one priotiry, no errors in what your wishes are can be made and your pet will be cremated the same day it arrives from the vet. You can also choose to take your pet directly to Legacy Pet Crematorium – based in Kya Sand – and either wait for the cremation to take place, or return later or the next day. Cremation takes about 1 ½ hours (depending on the size of your pet). You are also welcome to spend some time with your pet in the memorial garden to say your final goodbyes. There is also a crematorium in Cato Ridge in KZN. When it comes to cremation, there are various options available. One is the communal cremation which means that your pet is cremated together with other pets and therefore it is not possible to have the ashes returned to you. They are not permitted to keep the ashes from the communal cremation on their premises. Therefore the ashes are taken to a compliant landfill for neutral waste. Although the ashes are going to a neutral waste landfill it is perhaps not the final resting place you would willingly choose for the pet that has given you so much love and companionship during its life. Another option is an individual cremation where you pet is cremated by itself and if you have requested the ashes to be returned (in a casket or urn of choice) these will be returned to your vet the next time the drivers are calling in there. Should you want to be at Legacy while a private cremation takes place, you will need to phone ahead to arrange a time to go through. You are not legally allowed to go all the way into the actual crematorium, but you walk with your pet to the edge of the memorial garden. The garden and pet cemetary is a beautiful and serene environment and you will meet the people who will personally take care of you and your pet. While the cremation is taking place they have a private room situated in the tranquil memorial park where you can sit and wait while you pet is cremated individually. You will then be able to take your pet’s cremated ashes home with you. ​Another option which is available only at Kya Sands, is having a burial as opposed to a cremation. The burial will be in a specific and peaceful place where you can lay your pet to rest. The engraved granite headstone will be placed above the grave. Another thing I found out is that it is also possible to have your horse cremated. Having lost horses in the past, if I was still a rider and had my own horse, this would be a wonderful option to consider. The horse can be collected from your stables and you will receive the cremated remains in a beautiful mahogany chest. This has been a difficult subject matter to write on as I know it will be for those of you reading it, and I do hope that this has brought some understanding as to what happens when we let our furbabies go to the rainbow bridge. Losing a beloved member of our family is always hard, but why is it that the loss of some dogs affects you more than others and are we normal to feel this? What many people find hard to believe is that animals can form very firm attachments with each other. Even pets that outwardly seem to barely get along will exhibit intense stress reactions when separated. It is an old and inaccurate view that children don’t feel grief. They do. When a child loses a pet dog, reactions can range from sadness to serious grief, and for some, actual traumatisation. Has grief for a dog who died every overwhelmed you? - Losing a beloved member of our family is always hard, but why is it that the loss of some dogs affects you more than others and are we normal to feel this? Do Pets Grieve? - What many people find hard to believe is that animals can form very firm attachments with each other. Even pets that outwardly seem to barely get along will exhibit intense stress reactions when separated. Farewell Fido - helping kids to deal with the loss of a beloved pet -probably one of the biggest drawbacks of having canine companions is that they usually die before we do. And the strength of our attachment to them in life is usually reflected in the degree of grief that we feel when they are gone. This is true of children as well. It is an old and inaccurate view that children don’t feel grief. They do. When a child loses a pet dog, reactions can range from sadness to serious grief, and for some, actual traumatisation.